IoT is blending into all aspects of our lives, often causing confusion and resistance. To ensure a successful integration, the friction between people and technology must be kept to a minimum. This session will propose a shift in perspective and approach to interacting with “things.” From the latest technology trends emerging at global conferences like CES and MWC to the examining the future and potential possibilities, it is clear that IoT is at the forefront of everyone’s mind. This talk will identify where the market stands, areas for improvement, and where we are truly excelling. By simply considering a “thing” as a person, or specifically as an employee, a myriad of scenarios involving its lifecycle become clear. This “people-fication” of things will bring about interactions that are more like our interactions with people, allowing our devices to weave into our landscapes like friends and co-workers weave into our lives. Like people, “things” therefore require a hierarchy of needs in order to successfully function and prioritize activities. The deep industry expertise behind this presentation will provide attendees with a leading edge view and ensure a lively Q&A conclusion. The discussion will apply to a range of technical backgrounds, from beginners to industry experts. 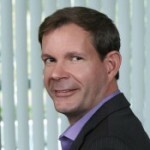 Jim Hunter is the Chief Scientist and Technology Evangelist of Greenwave Systems. He is responsible for oversight of technology, architecture and innovation of the Axon platform. As Technology Evangelist, Jim promotes the Greenwave platform and technology message through industry engagement. Prior to joining Greenwave Systems, Jim led Motorola Mobility’s (a division of Google) architecture and strategy for driving the future of the smart, simple connected home. During this time, Jim invented several key patents and served on several patent boards mentoring other inventors. In December 2010, Jim joined Motorola Mobility through the acquisition of 4Home, a company he founded and served as CTO and Chief Architect. Earlier in his career, Jim founded Premise Systems, the first IP-based connected home platform company, which was acquired by Motorola in 2003. Jim’s specialties include Software Architecture, User Interface Design and Development and Intellectual Property Development. Jim is a passionate inventor and futurist, inventing a number of patents across a broad spectrum including data algorithms, user interaction, contextual data and device management. Prior to the advent of the connected home, Jim served in the US Navy as a Nuclear Engineer and Nuclear Certified Instructor. Jim is a well-respected thought leader and speaker at industry events (CES, IoT Slam, IoT Expo, IoT World, IoT Privacy Summit, Collision/Enterprise X, Park’s Connections, Web Summit, etc.) and is a go-to source for popular industry news outlets.